Tulip Charts is coming soon. 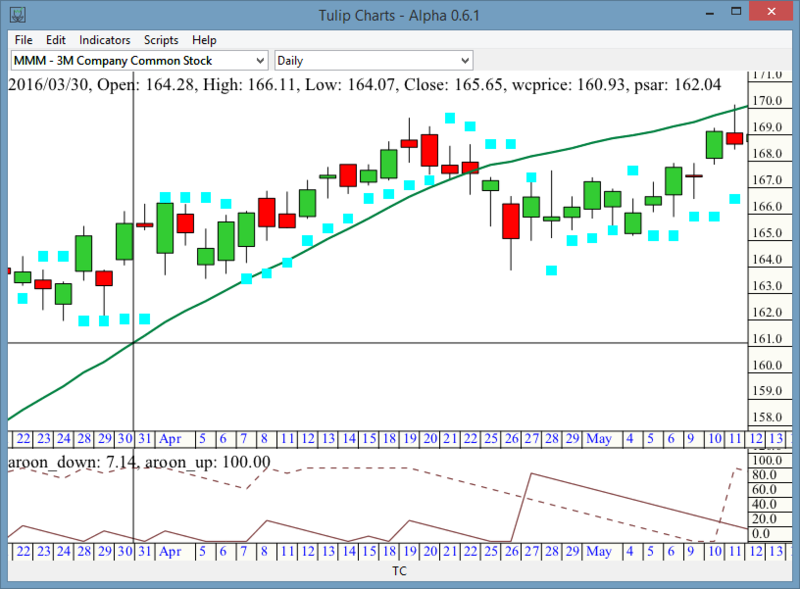 Tulip Charts is an open-source, cross-platform stock charting program written by Lewis Van Winkle. It's currently under active development and will be available soon. Tulip Charts will ship under the AGPL license. Some of the source code has already been released (Tulip Indicators). Binaries will initially be available for Windows and Linux. Tulip Charts will ship with 100 indicators. Full scripting will be available via Lua. A back-testing engine is included.